The recent attacks on the French satirical periodical Charlie Hebdo resulted in a worldwide outpouring of support for the victims and condemnation of the terrorists. But the condemnation also came with a lot of confusion and rhetoric from both liberal and conservative factions. I don't believe it is right to paint all Muslims with the terrorist brush. As John A. Azumah explained in his recent piece, the Wahabbists follow a specific type of Islam, but they also shirk their own authority structures and seek to take matters into their own hands.1 Thus, the terrorists are both the natural outworking of Islamic beliefs and violators of its governing bodies. While some on the right may have a penchant to see every Muslim as a terrorist, some on the left make two very different types of errors. The first is to see no connection between the terrorists and Islam at all. This is absurd to the point of ridicule. After Mohammad's conquering of Medina and Mecca, the Caliphite expansion across North Africa and into Spain, the Crusades, the Ottoman expansion, the attack on the Marine base in Lebanon, the attack on the USS Cole, 9/11, the London Subway bombings, the Madrid train bombings, and countless more attempts that have been thwarted, I think that any reasonable person can see a pattern developing. History shows that Islam was in fact spread by the sword, and it is easy to see how the children of the Hanbali tradition would see justification in continuing that tradition. But it is the other mistake some have made that concerns me even more deeply. There are some on the left who would argue that it isn't Islam that's the problem, but it is any type of dedicated religious belief. These people charge that Christians who take their faith seriously are just as much a terrorist threat as radicalized Muslims. One case in point is an article written by Jack Jenkins that appeared on the Think Progress site a month before the Charlie Hebdo attack. Entitled "The Other Kind Of Religious Extremism: The Christian Terrorist Movement No One Wants To Talk About," Jenkins tries to link individual attacks, such as the white supremacist Larry McQuilliams who shot up several buildings (but no people) in Austin, Texas with groups like Al Queaeda, Boko Harem, and ISIS. Is he kidding? "All while ascribing to what they say is Christian theology?" Jenkins uses the IRA of Northern Ireland as one example of "terrorism enacted in the name of Christ." That's ridiculous; the IRA was very much a political group, described as "a militant nationalist organization" by the Encyclopedia Britannica.5 There was no ascribing their actions as the proper outworking of Christian theology. 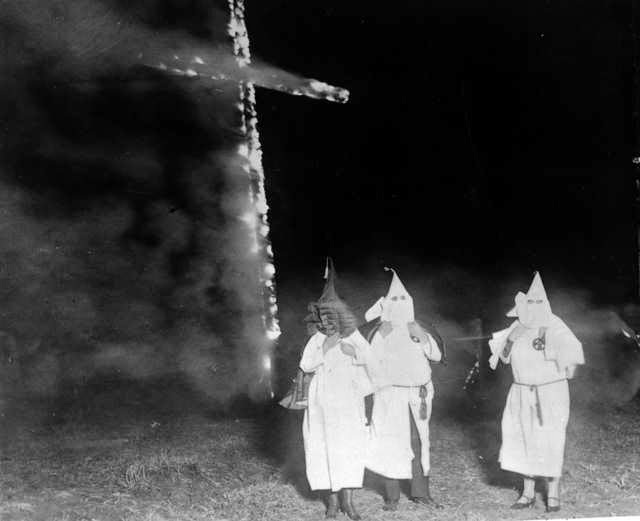 Likewise, the Klu Klux Klan cannot claim any verse that tells them to burn crosses or hang people because of the color of their skin. In order to demonize Christianity, Jenkins simply tries to grab hold of anything that seeks to use the word "Christian" while violating both the core teachings of Christianity and the example set by its founder, Jesus Christ. When looking at the foundation of Christianity, one sees that the followers of Jesus died for their faith, and even during those times of early persecution they didn't form an army against their persecutors. The inherent worth of all men including those with physical or mental defects comes from Christianity. The teachings of Jesus such as the Golden Rule, to go the extra mile, or to "turn the other cheek" are the best values for a civilized and gracious society. Jesus Himself did not conquer with an army, but gave himself as a sacrifice for others. If an individual's acts with intent to terrorize or kill, you no longer have Christianity. You have something else entirely. In perpetrating intentional distortions such as these, Jenkins himself engages in a kind of journalistic terrorism, seeking to ghettoize the faithful followers of Jesus as some kind of threat. The public would be better served with the truth than misleading articles such as his. 1. Azumah, John A. "An Explanation of Islam's Relation to Terrorism and Violence." First Things. First Things, Jan. 2015. Web. 13 Jan. 2015. http://www.firstthings.com/article/2015/01/challenging-radical-islam. 2. Jenkins, Jack. "The Christian Terrorist Movement No One Wants To Talk About." ThinkProgress. ThinkProgress, 4 Dec. 2014. Web. 13 Jan. 2015. http://thinkprogress.org/justice/2014/12/04/3599271/austin-shooter-christian-extremism/. 3. Hoffberger, Chase, and Michael King. "Shooter Had ‘Hate in His Heart'" The Austin Chronicle. The Austin Chronicle Corp., 5 Dec. 2014. Web. 13 Jan. 2015. http://www.austinchronicle.com/news/2014-12-05/shooter-had-hate-in-his-heart/. 4. Jenkins., Think Progress, 2014. 5 "Irish Republican Army (IRA) | Irish Military Organization." Encyclopedia Britannica Online. Encyclopedia Britannica, n.d. Web. 12 Jan. 2015. http://www.britannica.com/EBchecked/topic/294148/Irish-Republican-Army-IRA.